Not only does Bohemian glass enjoy a tradition stretching far back into the past, it is also illustrious in the here and now. With customers appreciating the glassmakers’ skill and the glass cutters’ flawless work, Bohemian crystal can be found worldwide. In the north of Bohemia, in the lovely hilly green landscape of the Lusatian Mountains and in the foothills of the Jizera Mountains around Jablonec nad Nisou, glass has been made at least since the reign of Charles IV in the 14th century. There are sites here rich in silica sands, refractory materials for the construction of furnaces, and forestland – providing wood for heating and as a source of potash, the “flux” required in glass production. This year, the Czech Republic is celebrating the centenary of Czech statehood, with Czechoslovakia having been founded as an independent state on 28 October 1918. The ŠKODA brand – its history closely connected with that of the Czech Republic and Czechoslovakia – is also commemorating this anniversary. 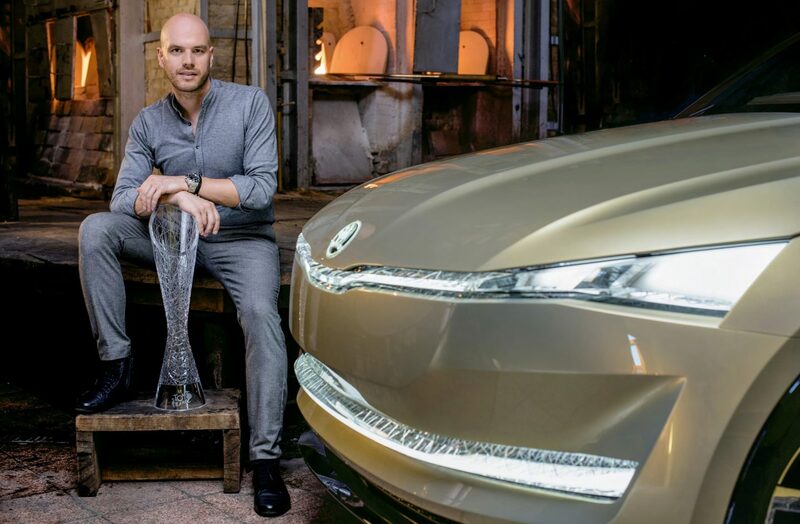 ŠKODA Storyboard is marking this occasion with a series of articles entitled Czech Footprints. This series traces Czech influences that have achieved world renown, some of which are not widely known to have roots in the Czech Republic. A scene that looks like it comes straight from an old painting. 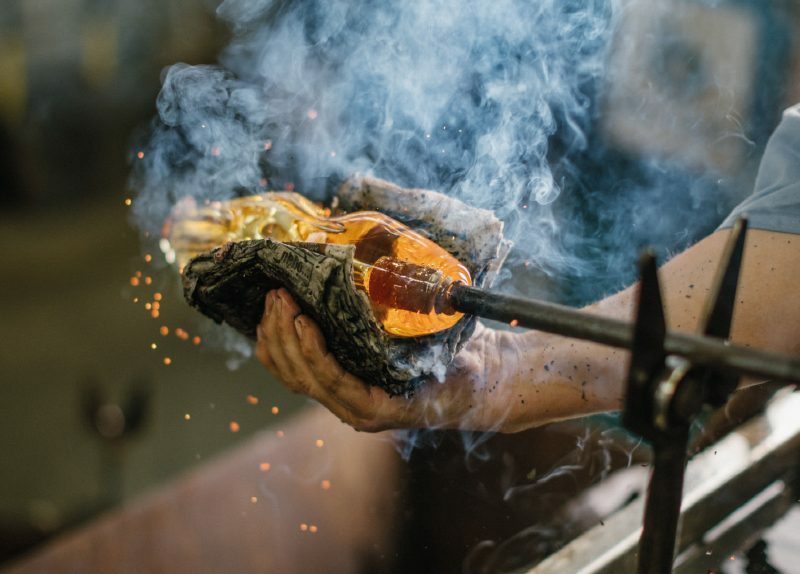 Glassmakers continue to use the same techniques and tools as in they did in centuries past – blowpipes and wooden or metal moulds. They adroitly conjure up glass marvels on a raised wooden workshop built around a furnace that emits a brilliant glow. At the time, people mainly used candles to light up the dark. As these didn’t come cheap, skilfully polished glass would help to create much more glint and refraction, resulting in greater luminance. The skill of the glassmakers in the production of multi-branched chandeliers with hanging crystal prisms (cut “drops” of glass) started to generate a great deal of interest in these Czech products among the highest echelons of society. Customers included the French King Louis XIV and the Austrian Empress Maria Theresa, who commissioned them for all of her imperial residences. Since then, this type of chandelier has been called “Theresian”, just as its predecessor is known as the “Rudolph”, after Emperor Rudolph II. The design of glass products has to be just as perfectly crafted as the precisely rendered handmade end result. At that time, the doyens of clear glass, commonly called crystal, were the glassmakers in Murano, the series of islands near Venice. Though these master glassmakers protected the secrets of their production processes jealously, they must have let their guard down at some point. Their knowledge made its way to Bohemia, where the local glassmakers not only imitated, but actually perfected, the production of clear glass with added lead oxide. They made such a good job of it that, at the turn of the 17th century, the Czech Lands became the production hub of the finest glass in the known world. The sheer hardness of Bohemian crystal made it ideal for further processing – engraving and grinding. 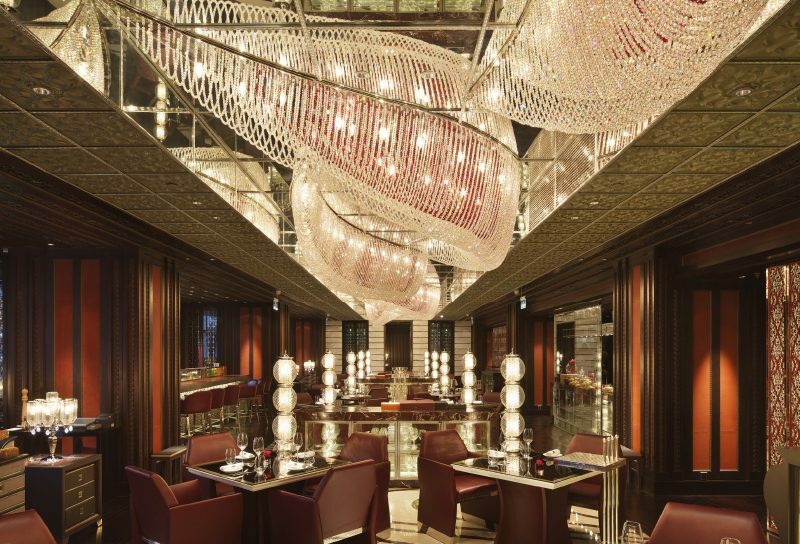 Preciosa’s glassmakers have created lights for more than fifty interiors at the new Raffles Hotel and Zorlu Shopping Centre in Istanbul. 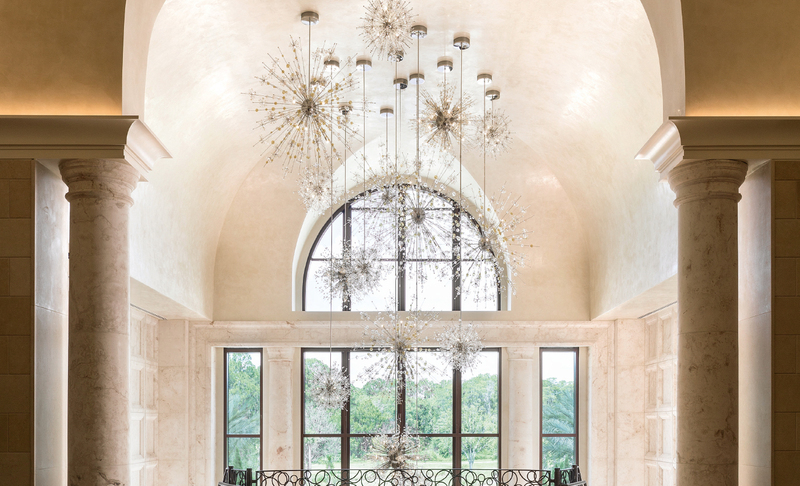 This exquisitely “dishevelled” chandelier can be found in the foyer next to the hotel lobby. At this time, glassworks were dotted across suitable – mostly mountainous – regions in Bohemia, including the “Crystal Valley” between Kamenický Šenov and Jablonec nad Nisou. Their tradition is kept alive and nurtured today by Preciosa, the largest Czech glassmaking company. Despite the modern times we live in, they continue to rely on an honest day’s manual work here. The key to fine glass lies not only in the secret ingredients (or, more specifically, their proportions), but also – and more importantly – in incredible craftsmanship. People who assemble the final chandelier from dozens, and sometimes even hundreds, of parts also have to handle hot glass. They wear gloves and exercise extreme caution. 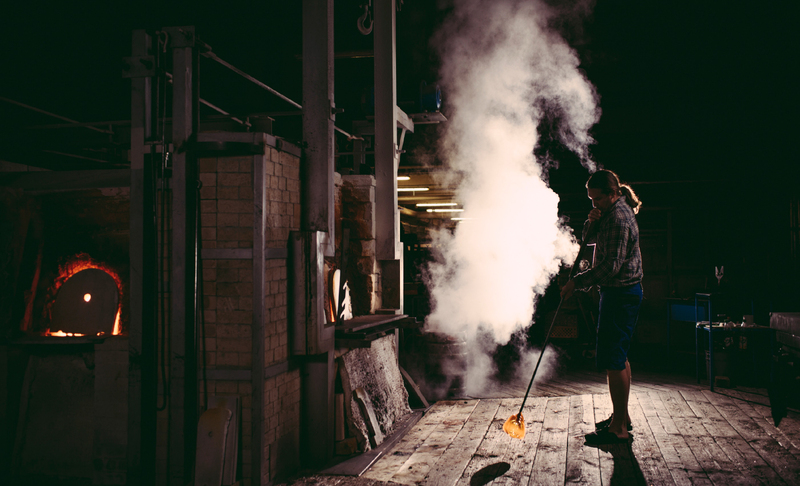 Glassblowers scoop up molten glass of up to 1,400 °C on to their blowpipes. It runs like honey and, indeed, needs to be worked in much the same way as honey. Quickly and precisely, with only the barest movements necessary. They transfer the glowing ball into a mould, spin it with their blowpipe and blow, sometimes more, sometimes less. Then they add another large dollop to their work in progress and again spin and blow, or gently toss it change the shape, and then they tease out the ornamentation with pliers. The lobby of Pearl Island Suites, an upmarket skyscraper on an artificial island in Doha, Qatar, dominated by a spectacular chandelier combining sunlit ocean waves with icicles glittering in the sun. 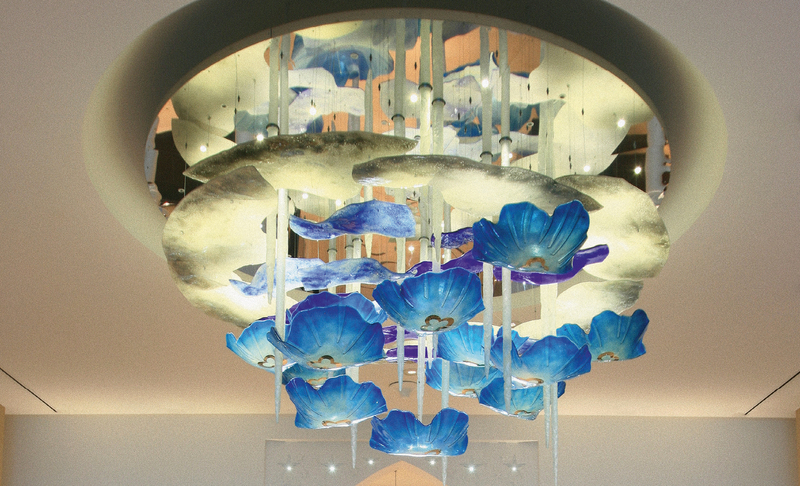 This was a collaboration between Preciosa Lighting and the investor’s design team, headed by Mhairi Murphy. Their work is to cool down in a conveyor belt furnace, after which the “glass” is passed on to master grinders and engravers. This filigree work requires a firm and steady hand to precisely grind each ornament without cracking the glass. And strength, because some pieces can weigh a fair few kilograms. Metal casters, making moulds to cast the finely worked and metallic parts of light fixtures, require the same skill and high precision. Italian restaurant at the Four Seasons Hotel in Beijing’s Chaoyang district. It is illuminated with chandeliers made in collaboration with Design studio living in such a remote country. 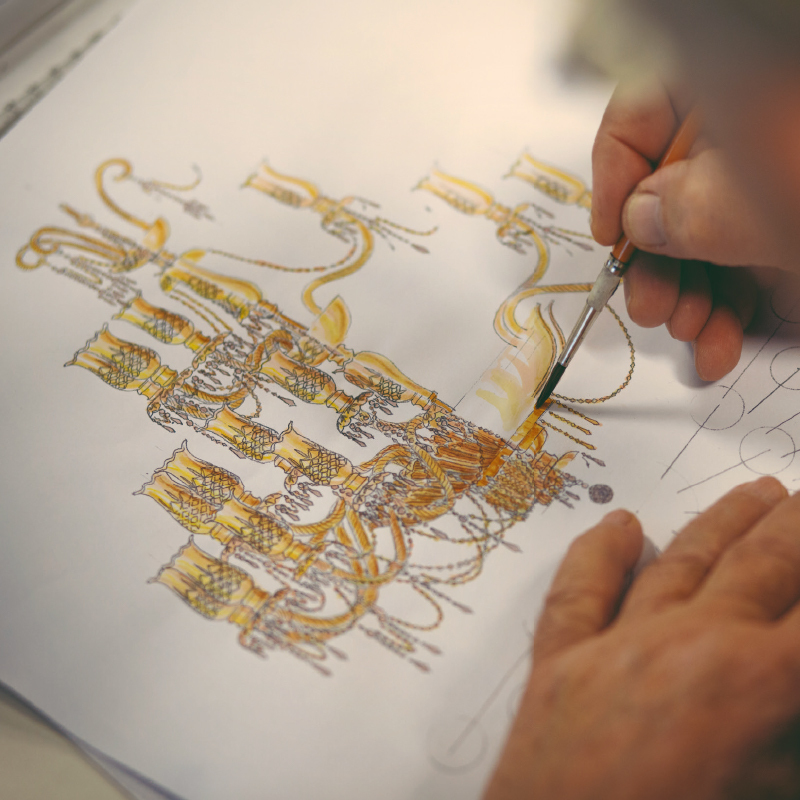 This is the process that goes into making the small, large and even giant chandeliers that illuminate world parliaments, theatres, opera houses, hotels and most recently – under the Maritime programme launched by Preciosa a few years ago – luxury yachts and ocean liners. That said, the target group extends beyond the cream of the crop – unlike the past, today’s quality lights are not just the preserve of the rich. Each piece, though standardised and catalogued with a number, is produced by hand, making it an original. Four Seasons Resort at Walt Disney World in Orlando, Florida. Preciosa created lighting fixtures for the hotel’s public areas and rooms, including the presidential suite. 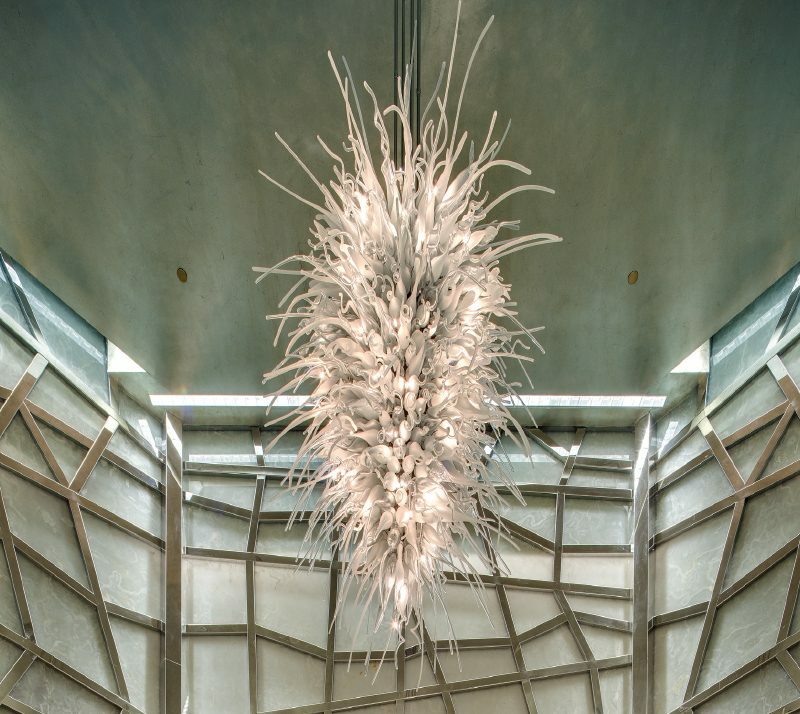 An original six-metre fireworks-inspired installation is suspended in the foyer, complementing the main staircase. The tradition and skill of Czech glassmakers have also made their mark in the current automotive industry. Bohemian glassmaking traditions have inspired the crystalline design of today’s ŠKODAs, which can be seen, for example, in the structure of the headlamps. This black-and-white photo shows how the installation work progressed. 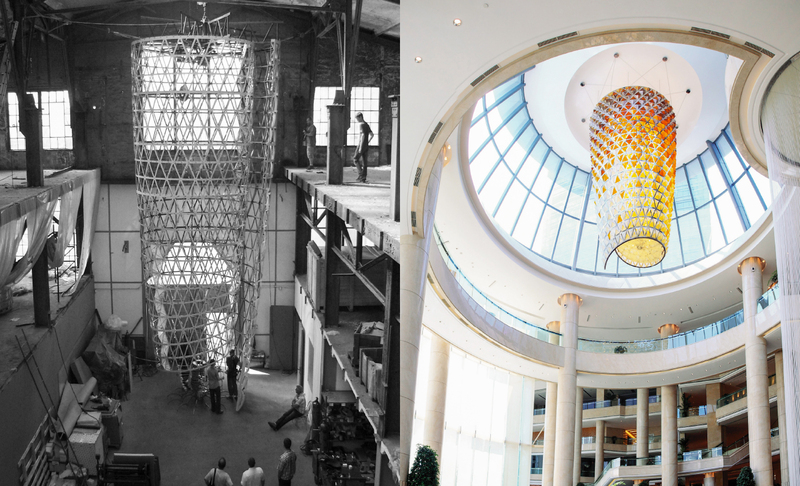 An eleven-metre chandelier, featuring thousands of small glass pyramids embedded in a spiral steel grille, illuminates the lobby of the Nanuyan Hotel in Ningbo, China. Designed by Jaroslav Bejvl Jr, it has been inspired by local culture, where a spiral denotes harmony. Tour de France trophies are made of crystal to represent what a precious award they are. For several years now, they have been designed by ŠKODA Design and made by glassmakers in northern Bohemia. The trophies are created by using manual processes to blow glass into a mould and then grind it.